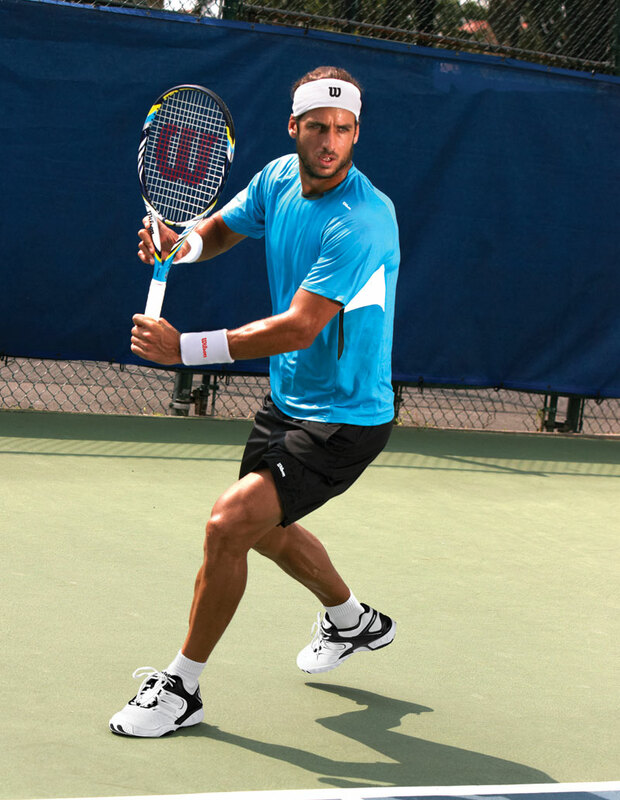 CHICAGO — Wilson has expanded its long-time racket partnership with Feliciano Lopez to now include apparel and footwear, making him one of Wilson’s highest ranked head to toe, exclusive tennis athlete’s. The 30-year old Spaniard, who has now reached a career high ATP #20 world ranking has been playing Wilson rackets since he was a junior and will now also proudly debut Wilson’s new 2012 spring apparel collection and new footwear as well as making the change to Wilson’s entirely new Juice racket. The new spring collection that Lopez will debut for the Australian Open includes the Wilson Laser Speed Crew with tri-color burn out technology for advanced cooling within a dynamic design, a Wilson Blow Away Crew with laser cut seams for abrasion resistance and total mobility, and the Wilson Tour Ikon shoe, featuring trademarked RG technology for ultimate support and durability. Lopez is also excited to make the change to Wilson’s new Juice racket that was specifically developed to further enhance power and spin. A member of the Spanish Davis Cup Team this year, Lopez recently helped lift Spain to its fifth championship win. In 2011, he was a Wimbledon quarter finalist, he has two ATP Singles titles and one ATP Doubles title to his name, and he is now a three-time Davis Cup winner for his native country Spain. Lopez has been key player, representing Spain for seven years in Davis Cup play and now looks to take it one step further as he vies for a spot in the Olympic games in London. About Wilson: Wilson Racquet Sports is a division of Chicago-based Wilson Sporting Goods, one of the world’s leading manufacturers of sports equipment and owned by Amer Sports. Wilson designs, manufactures and distributes sporting goods throughout the world and focuses on making technologically advanced products which help players of all levels perform better. Wilson’s core sport categories include: Football, Basketball, Baseball, Volleyball, Soccer, Youth Sports, Uniforms/Apparel, Golf, Footwear and Racquet Sports (Tennis, Racquetball, Squash, Badminton and Platform Tennis). For more information, visit wilson.com.